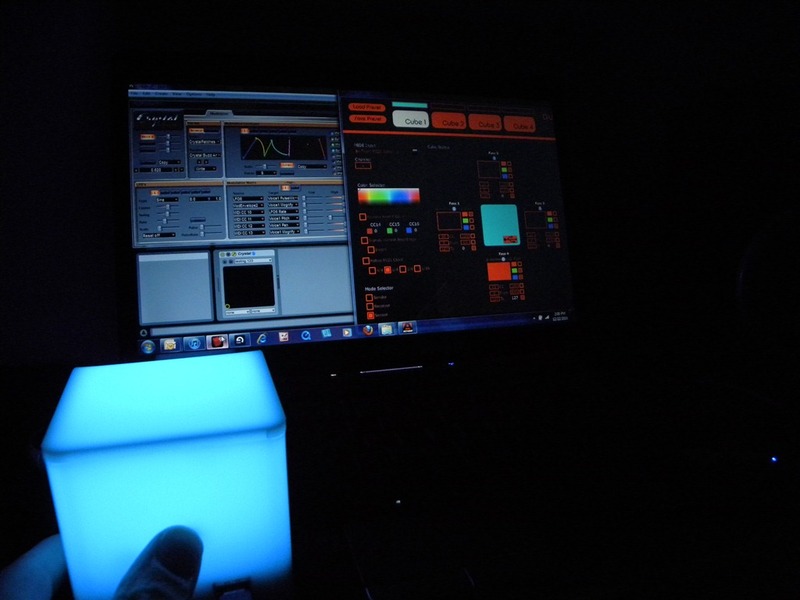 Experiments with Green Oak’s desktop version of Crystal continue. It’s been a while since I’ve used this synth as I’ve been focusing most of my energy on using commercial synths. It’s a pretty amazing synth and competes feature wise against many commercial synths. Here is a cool feature. The MIDI Modulate matrix supports direct mapping of MIDI CC’s. This means you can map controllers directly without having to do it through your DAW. 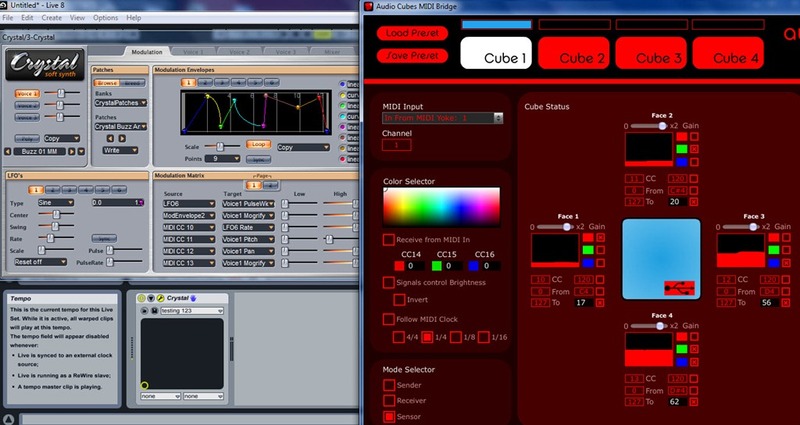 Click the image below to see a close-up of the screen shot which illustrates how I’ve used Percussa’s free MIDI Bridge app to configure AudioCubes to send CCs, and then I configure Crystal to listen for spatial control from cube faces. The MIDI Modulate is really great, I wanted to buy this one and after used your article information, I got nice information about that so thanks for share it. Direct CC mapping!? That is very cool. I might get Crystal just for that alone. Thanks.